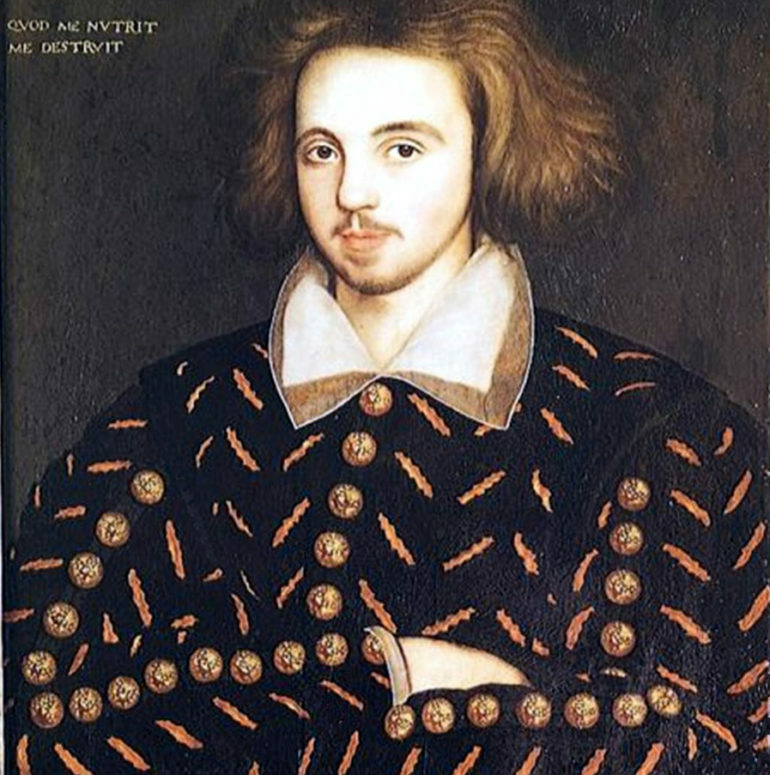 New statistical analysis identifies Christopher Marlowe as a likely coauthor of all three of William Shakespeare’s Henry VI plays. The question of whether Shakespeare truly wrote every word in every scene of his plays has been circulating since the bard’s own lifetime. Wilder conspiracy theories claim the playwright never truly existed, or was only an actor and not a playwright. Literary scholars have debated which plays might have been co-written—and who those unaccredited coauthors might be. Information scientists at the University of Pennsylvania’s School of Engineering and Applied Science, working with a Shakespeare scholar at De Montfort University, are using a new statistical method to get to the bottom of this question. In a forthcoming essay in Shakespeare Quarterly, they provide new evidence that all three Henry VI plays contain language written by another author. Their analysis identifies Christopher Marlowe as the likeliest candidate, although other writers may have been involved as well. One thing is certain: Shakespeare did not write these plays on his own. Even prior to the advent of computers, literary scholars have attempted to quantify an author’s style in efforts to resolve attribution questions. However, the rigor of available techniques—which often involved manual counting—sparked dispute. Computational approaches reinvigorated the field with the promise of increased reliability and objectivity. “Using information sciences to answer questions about disputed authorship goes back two decades, and it has grown along with computing power. But our approach is more than just counting,” says Alejandro Ribeiro, associate professor in the department of electrical and systems engineering. Earlier computational approaches have tried to quantify authorial style through vocabulary and usage. Counting the frequency of certain words and comparing them across texts, were used to create profiles of authors’ vocabularies. However, this approach has a flaw—the distribution of words used in a text could be more influenced by its subject than its author. Rather than simply counting the frequency of such words, the Penn team measured their proximity to one another. After constructing a list of between 50–100 functional words that appear in the target texts, the researchers apply an algorithm to derive “word adjacency networks” from them. Knowing the ongoing debates over Shakespearean authorship, the Penn team collaborated with Gabriel Egan, professor of Shakespeare studies at De Montfort, to ensure they were working within the confines of scholarly consensus. For example, scholars now widely accept John Fletcher as coauthor of one of Shakespeare’s later plays, The Two Noble Kinsmen. Some of Shakespeare’s earlier works, such as the Henry VI plays and Titus Andronicus, were thought to be collaborations, but how much and with whom was less clear. This made them good targets for deeper analysis. The researchers trained their algorithm on the entirety of Shakespeare’s corpus of plays, developing a stylistic fingerprint for him. They also developed fingerprints for several notable contemporaries, including Fletcher, Christopher Marlowe, Thomas Middleton, Ben Jonson, George Peele, and others. Finally, they combined all of the texts from all of the candidates into a single profile, essentially an “average” fingerprint for English-language authors of that era. 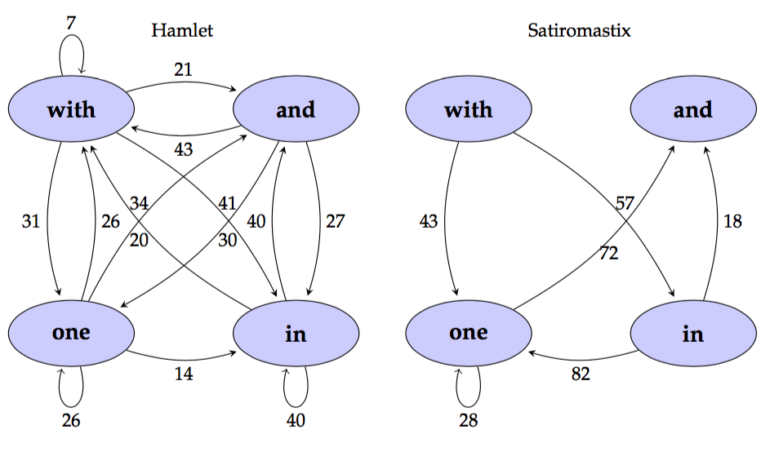 The analysis of the word adjacency network fingerprints of the Shakespearean corpus suggested that the three Henry VI plays were stylistic outliers among Shakespeare’s plays. This anomaly made it very unlikely that Shakespare wholly wrote these plays their entirety, confirming results generated by other groups’ computational approaches. Confident that the Henry VI plays were outliers, the next task was to see who else’s stylistic fingerprints they might contain. Christopher Marlowe and George Peele, long thought to have been the unnamed collaborators on Titus Andronicus, were the two leading candidates. Egan and his co-editors of the New Oxford Shakespeare Complete Works will identify Marlowe as Shakespeare’s coauthor for all three of the Henry VI plays. The New Oxford Shakespeare, which contains versions of all Shakespeare’s writings in both modern and original spellings, plus analysis and commentary, is considered among the most authoritative scholarly resources on the playwright. “It’s fitting that this these questions about language are being tackled at the birthplace of computers, with ENIAC,” Egan says.